The area known as Queensway/Ridge West is part of a tract of land allocated in a Local Plan for development. A new road scheme will be constructed to provide access to and through the entire site. The route is designed to work with the existing topography and within the land ownership of Hastings Borough Council and East Sussex County Council. Appointed by SeaChange Sussex, Influence carried out an extensive Arboricultural Survey and a Landscape and Visual Impact Assessment (LVIA). We subsequently developed a realistic conceptual Masterplan for the employment areas served by the road. 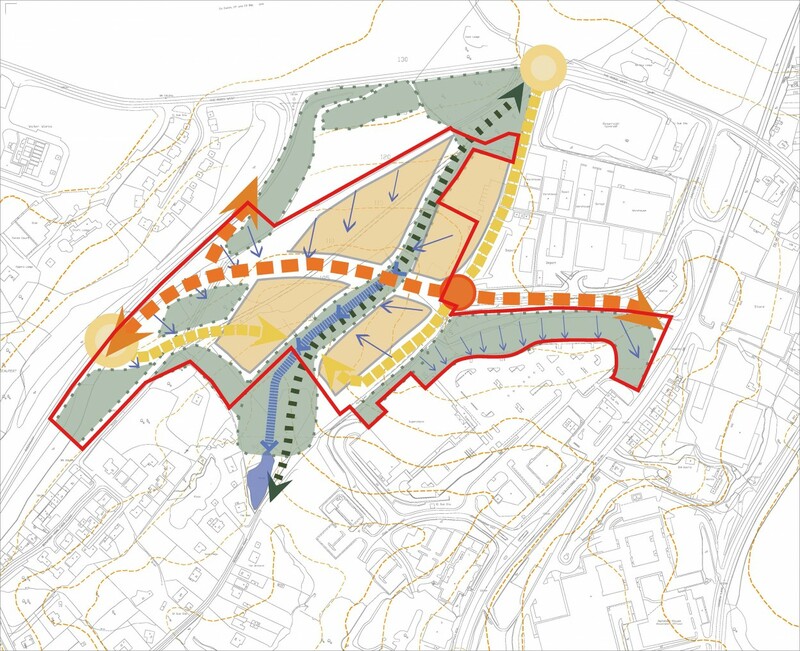 Reflecting the mitigation of the LVIA and Environmental Impact Assessment (EIA), our landscape Masterplan will inform any potential development scenario. Our work included visual interpretations setting the proposed road within the existing landscape, and landscape design drawings for inclusion in the Specification and Tender Package.